The name Jaydeep Steels needs no introduction in the field of Stainless Steel Flanges fabricating. Not only do we manufacture a variety of SS Flanges, but we also stock, supply, and export variety of finest range of flanges which are used for numerous industrial purposes. 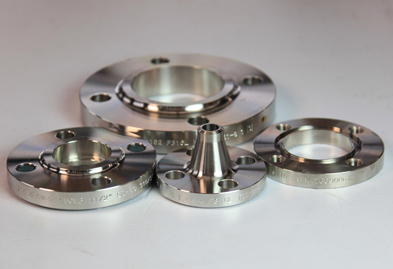 Our complete scope of Stainless Steel Flanges is manufactured in different sizes, shapes, and details keeping in mind the end goal of providing our trusted customers with the best quality of SS flanges available in the market. Only the best grades of raw materials like 317L, 321H, 347H, 316Ti, 310 are used at Jaydeep Steel for the manufacturing process. Because of the superior qualities of our products like toughness, ductility, quality, longevity, etc., they are widely used in major industries like automotive, construction, glazing, solar panel racking, robotics, wind energy, or waste and water management. We generally make use of high premium quality crude materials in manufacturing world class SS flanges, as well as employ advanced top-notch machinery to smoothen the entire manufacturing process. 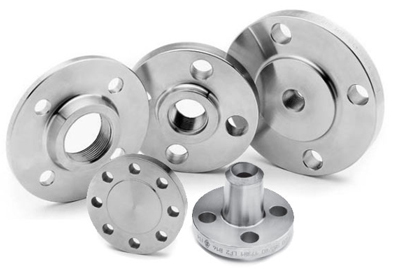 The various Available Forms of Stainless Steel flanges at Jaydeep steels are Stainless Steel Slip on Flanges, Stainless Steel Blind Flanges, Stainless Steel Weld Neck Flanges, Stainless Steel Socket Weld Flanges, Stainless Steel Threaded Flanges, Stainless Steel Lap Joint Flanges, etc. Right from assembling and quality control to human asset improvement, all our methods are carried out with an ample amount of flawlessness. Further, we ensure that these products are made available to our customers at a highly affordable price range. Jaydeep Steels stocks a wide range of materials and grades. Below is a list of all standard stainless steel flanges materials and grades we stock. Our experienced team of metal experts will get you the metal you need when you need it. Call us today for your Stainless Steel Flanges Needs!